Koch Media and dtp young entertainment are to bring Milton, the world famous showjumping horse, to Nintendo 3DS. Set to release on February 17th, the game will see horse lovers able to take care of over 25 different breeds each with their own personality. 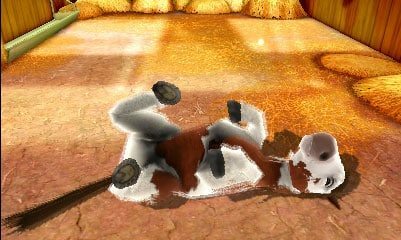 Use of the Augmented Reality Card, provided with the Nintendo 3DS, also allows you to make your pet foal appear right in front of you, where you will then be able to train them on the lunge. The Whitakers present Milton & Friends 3D will release for Nintendo 3DS across Europe on February 17th.